Punjab congress is ready to bounce back against AAP’s parivar jodo campaign with a door-to-door campaign with Har Ghar program in September. Campaign’s aim is to cover 30-lakh families targeting the youth and families. “There is a feedback that the youths are misled. They do not know what Amarinder-led government did for the state, for instance his stand on Sutlej Yamuna Link (SYL) Canal. Plus the effect of drugs in Punjab has made all of the other states to be very peculiar and aware of the situation. In the last 10 years, scores of new voters have emerged who were below the voting age during our government. 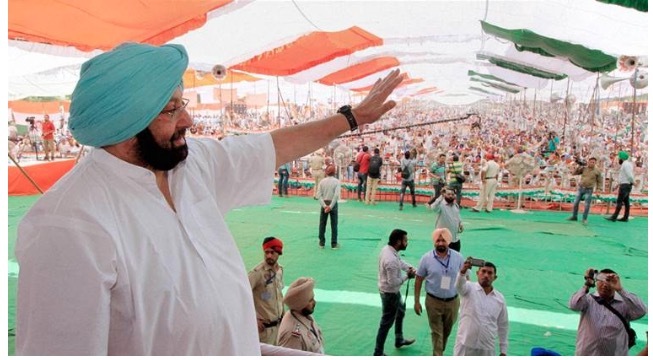 We will make them aware besides making them see reason that an experienced government is required to put Punjab back on track,” said Lal Singh, state Congress vice-president. Besides, the party has planned nukkad meetings to be addressed by several senior leaders to engage youths in the Assembly segments. Similarly, to attract the women voters, the Mahila wing of the party would organize meetings with the women. To start with, 40 such meetings have been planned. Congress has faced challenge in past from SAD-BJP alliance and with AAP as new contender Congress is seeing bleak chances of winning the upcoming elections. Congress’s anti-Punjab approach has been highlighted in past few years and majority of state favors Akali’s for their pro-farmers and pro-Sikh campaigns. This campaign is a strong effort to hide the shortcomings of Congress over the years. Congress has lost in majority of elections and polls results of Punjab will be a big turn of events for Congress as a party.